The Alliance’s annual events and programs offer great networking opportunities with hundreds of business leaders in southeast Wisconsin. Listen to high-caliber speakers such as the Governor or company presidents and CEOs, learn from a panel discussing industry trends that affect your business or celebrate the successes of businesses in our area. Come meet others who share our goal of making Waukesha County a great place to do business. Our Annual Meeting celebrates the successes of the business community over the past year. 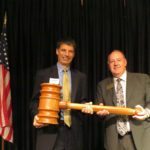 Meet business leaders and demonstrate your support for business in Waukesha County. Bridging the Gap for Waukesha County will share best practices of successful business-education partnerships, along with strategies for replicating and building on successful models already in place around the county. 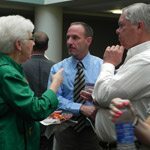 The Alliance’s Annual Business and Politics networking program gives the business community an opportunity to network with public officials from the local and state level. 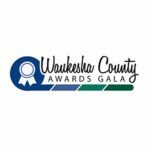 This annual awards program honors young professionals who live or work in Waukesha County and who are creating and inspiring a better vision for the future. Join a panel of industry-leading experts and a keynote speaker at this annual program, which highlights priority industries for Wisconsin job growth in the coming year and beyond. This annual program brings together manufacturers and business people to engage in dialogue about issues pertinent to manufacturing. This one-of-a-kind food tasting event showcases select Waukesha County restaurants’ finest dishes and gives you an opportunity to connect with other Alliance members at a beautiful venue. These highly esteemed business awards are proudly given to companies headquartered in southeast Wisconsin that exhibit exceptional growth, a history of outstanding employee relations and a commitment to the community. Spending a day away from the office means business when you attend the largest business golf outing in the county!